NORRIDGE, Ill. (WLS) -- The FBI has released surveillance images of two men wanted for robbing an ATM at a bank in north suburban Norridge last week. 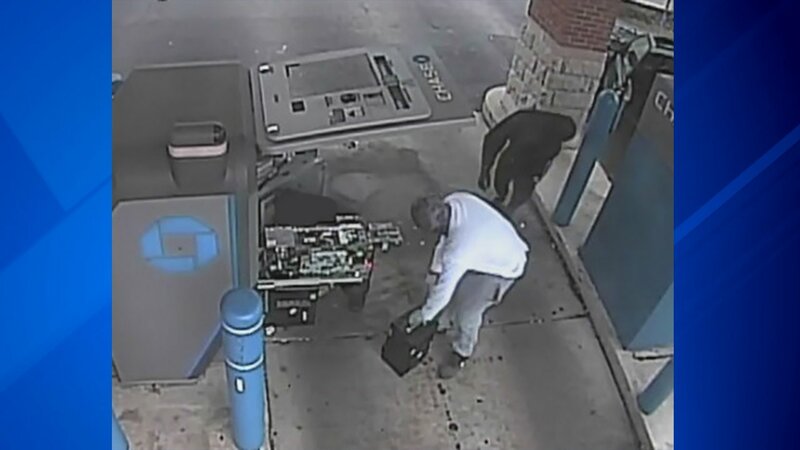 The robbery occurred at about 2:50 p.m. on August 9 at an ATM outside the Chase Bank at 4223 Harlem Avenue in Norridge. The suspects were seen driving in a dark Chevrolet SUV. The male suspects are described as 5'7" to 5'8" with skinny builds, the FBI said. A surveillance image of two suspects in a bank robbery at a Chase Bank in Norridge. A $1,000 reward has been offered by the FBI for information leading to the arrest of the suspects. Anyone with information is asked to contact the FBI's Chicago Field Office at (312) 421-6700.